MSPS Athens, holding a leading position in the integrated marketing and sales services sector, is seeking to recruit a highly motivated and creative Social Media Manager to work with its talented Digital Marketing team for top clients. 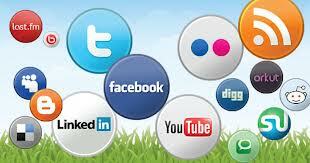 Collect, analyze and report on social media and traffic data on a regular basis. The company offers a competitive compensation & benefits package, great opportunities for professional development, with an exciting, fresh and collaborative work environment. Date : 6/24/2017 12:39:00 μ.μ.